Each blogger will receive 2 free links for posting and sharing (Facebook & Pinterest). Co-Hosts & Paid links will be listed on the main form. Deliciously Savvy is hosting a giveaway for 1 LUCKY winner to receive a Cookie Chips Multipack 6oz – 6 Pack! Now, I need your help promoting! These are delicious! Read My Review HERE! 1 LUCKY Winner Will Get…. All HannahMax Baking Cookie Chips are made with the same whole ingredients you would find in your own kitchen. We believe if you can’t pronounce it, you probably shouldn’t be eating it! What you will find in our delicious crunchy cookies are cage-free eggs, creamery butter, cane sugar and real vanilla. We won’t compromise and guarantee you will never find artificial ingredients or colors, trans fats, preservatives or GMOs in any of our Cookie Chips. 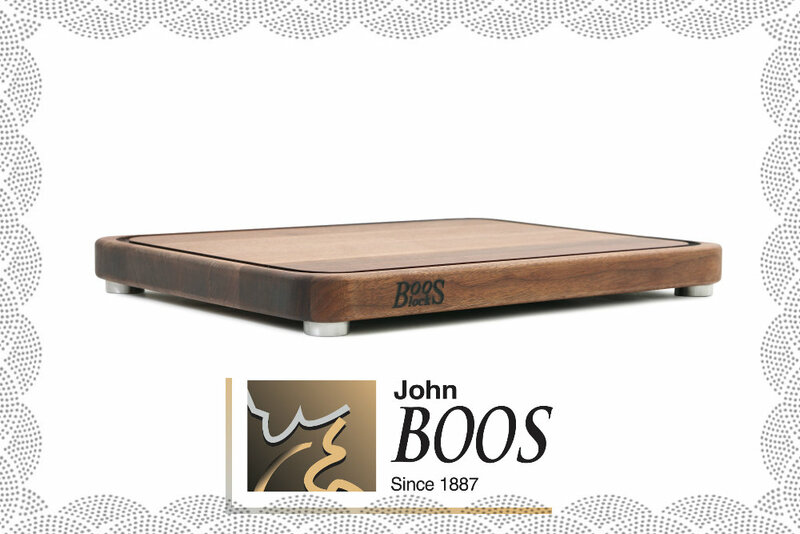 A single serving of five cookies only contains 120-130 calories, so this is an indulgent treat you can enjoy every day! Co-Hosts Wanted & Needed ~ $5 for 5 links of your choice (and I mean any you choose other than Google+). You can do Facebook Comments, Blog Comments, Giveaway Entries, Daily Votes, Social Media Follows of your choice, ANYTHING! PLUS the 2 FREE links above gives you 7 Links Total! Co-Hosts will also be promoted via graphics and link backs to their site via extra follow pages! All Co-Host Links will be listed individually for 5 point entry level on rafflecopter to gain more followers. (# of extra follow pages depends on # of sign ups so promote, promote, promote!) Co-Hosts are not required to post announcement but it is greatly appreciated! Blogger Opp: G.G.Martinsen 16 GB MP3 Player Free & Paid Options Available! My Silly Little Gang is hosting a giveaway for a 16GB MP3 Player! In this giveaway 1 Lucky Winner will receive a G.G.Martinsen 16 GB MP3 Player ARV $19.59! Read below to learn a little more about the product. One small player does it all you want to do . You can Listen to music, Watch movies, use it as a Voice recorder, View pictures, Read eBooks, Play Games and even store data and use it as a flash drive. Co-Hosts Wanted & Needed ~ $7 for 3 links of your choice (any link other than Google+). You get the 3 links PLUS the 2 FREE links above gives you 5 Links Total! Co-Hosts will also be promoted via link backs to their site and via their Co-Host page AND extra follow pages! (# of extra follows depends on # of sign ups so promote, promote, promote!) Make Sure They Know To Say You Sent Them! Deliciously Savvy is hosting a giveaway for Puritan’s Pride and she needs your help again to promote! I cannot do it without each and every one of you! This is a 3 Winner Giveaway valued at $264! Details below! Sign Up Today! Co-Hosts Wanted & Needed ~ $6 for 5 links of your choice (and I mean any you choose other than Google+). You can do Facebook Comments, Blog Comments, Giveaway Entries, Daily Votes, Social Media Follows of your choice, ANYTHING! PLUS the 2 FREE links above gives you 7 Links Total! Co-Hosts will also be promoted via graphics and link backs to their site via extra follow pages! All Co-Host Links will be listed individually for 5 point entry level on rafflecopter to gain more followers. (# of extra follow pages depends on # of sign ups so promote, promote, promote!) Co-Hosts are not required to post announcement but it is greatly appreciated! Deliciously Savvy is hosting a giveaway for eb5 Beauty Products and She can use your help in promoting! Thanks for all you do! 1 LUCKY winner will receive eb5’s 1.7 oz. Facial Cream and their 0.5 oz. Eye Treatment ($40 RV) Fabulous Beauty Products For Maintaining Beautiful and Healthy Skin! Total Value of $40 and it is worth so much more! Fabulous products! My review will be attached to giveaway once posted. Co-Hosts Wanted & Needed ~ $5 for 5 links of your choice (and I mean any you choose other than Google+). You can do Facebook Comments, Blog Comments, Giveaway Entries, Daily Votes, Social Media Follows of your choice, ANYTHING! PLUS the 2 FREE links above gives you 7 Links Total! Co-Hosts will also be promoted via graphics and link backs to their site via their extra follow pages! (# of extra follows depends on # of sign ups so promote, promote, promote!) Co-Host entries are now listed seperatley to promote higher point entries @ 5 points each. Co-Hosts are not required to post announcement but it is greatly appreciated! Blogger Opportunity for $50 Gift Card of their choice. Any gift card I can order online and email or sent by mail is allowed. Free and paid options available. Free links limited to the first 20 people. Unlimited paid options. Any questions email me at imho@imhoviewsreviewsandgiveaways.com. Note: Google docs sometimes has glitches. If you want to email me to be sure I got your links feel free. I don’t want to miss anyone who wants to participate. IMHO Views, Reviews and Giveaways will be sponsoring and hosting a giveaway for one person to win a $25 Walmart eGift Card. This will be the first giveaway that I have hosted so please bear with me. I am offering free and paid options. You get 2 FREE links with an announcement post. They can be a Facebook Visit, Twitter, Pinterest or Instagram. If you do not want to post the announcement you may pay $3.00 instead to imho@imhoviewsreviewsandgiveaways.com via Paypal. Co-hosts appreciated! As a co-host you get 3 additional links for $5.oo and this includes email sign ups and of course you get the 2 free links for a total of 5 links. I will provide a link to your page. Since co-hosts are paying the $5.00 they do not have to post the announcement post but I would appreciate it if they did. Note: I am paying Giveaway Tools $9.00 a month for the premium plan so my giveaways will be promoted to 113 giveaway linky’s and 10 giveaway directories so that we will get more traffic. You should benefit from this the more links you have in my giveaway I hope. Open to US residents 18 years and older. No purchase necessary. All of my giveaways are open to once per person not once per household. I feel each person should have the opportunity to enter. Complete rules here. Please feel free to take advantage of either the free or paid options to join this giveaway. Believe me, it helps to have everyone promoting my giveaway whether they choose to co-host or not. We can all benefit from increased traffic by helping each other out. Whether you can take part of not, please pass this along to anyone you know who might be interested. Thanks for everyone that has been so helpful as I was just getting started. I always say if there is a way to do things wrong first then I will find it. Many of you have answered questions in emails or on Facebook and I want you to know how very much I appreciate your help. Disclaimer: Walmart did not compensate me for this giveaway nor were any participating bloggers compenated. Walmart has nothing to do with the giveaway. I am solely responsible for providing the prize to the winner. The winner has 48 hours to respond to the winning notification email. If no response, a new winner will be chosen. This giveaway is not administered, sponsored, endorsed by or in any way associated with Facebook, Twitter, Pinterest, Instagram, Google or any other social media sites. This post may contain affiliate links posted by the participating bloggers or myself. This means if you purchase something that person would get very small compensation. Any questions, email me at imho@imhoviewsreviewsandgiveaways.com. – An all-in-one easy-to-use Internet Video Downloader that can save all kinds of videos and capture live streams from the Internet. When you start watching a video in your web browser, the program will automatically begin saving it in the background, at the same time showing you a prompt. To save a video, simply click Save. – Works with all popular websites like FanCast, BBC iPlayer, Facebook Video, EarthCam and many others. Supports various video technologies and formats: Flash FLV, Adobe HTTP Dynamic Streaming, F4F, RTMP, QuickTime, Silverlight, WebM, Real Media. Works with all browsers! – You can download YouTube videos and entire playlists in desired format and quality with integrated YouTube Video Downloader. – Record live video from webcams in real time! Save high definition 720p and 1080p videos as MP4 files. Includes support for HTML5 videos. Videos can be saved from password-protected websites! – No URLs to copy, all videos are saved automatically as you watch them in your web browser. – Built-in video conversion allows you to easily convert flash video flvs to mp4, Matroska mkv, or avi video files for better compatibility with portable and mobile devices. – The program is very light on system resource and does not get in your way, consuming less than 1% of CPU and only a few Megabytes of memory. Our Garden Planner makes it easy to draw out your vegetable beds, add plants and move them around to get the perfect layout. Either metric units or feet and inches are supported and any shape of garden can be created. Whether you use traditional row planting, raised beds or Square Foot Gardening the Garden Planner adapts to suit your gardening style. The Garden Planner has over 200 vegetables, herbs and fruit and detailed growing information is just a click away. As you add vegetables the space they require is clearly shown by the coloured area around each plant and it calculates how many plants will fit into the area. The Garden Planner adapts to your own area using our database of over 5000 weather stations. Print your own personalized planting chart showing how many of each plant you require and when to sow, plant and harvest them. Twice a month the Garden Planner sends email reminders of what needs planting from your garden plans. The Garden Planner is both easy to use and flexible. Organize which crops will follow on from others using the succession planting feature and see how your garden will look for each month of the year. Customized varieties can be added with their own spacing and planting dates. Like a garden journal, you can add notes to your plants and plans to track how they grow. Total Prize Package For 1 Lucky Winner Worth $60! 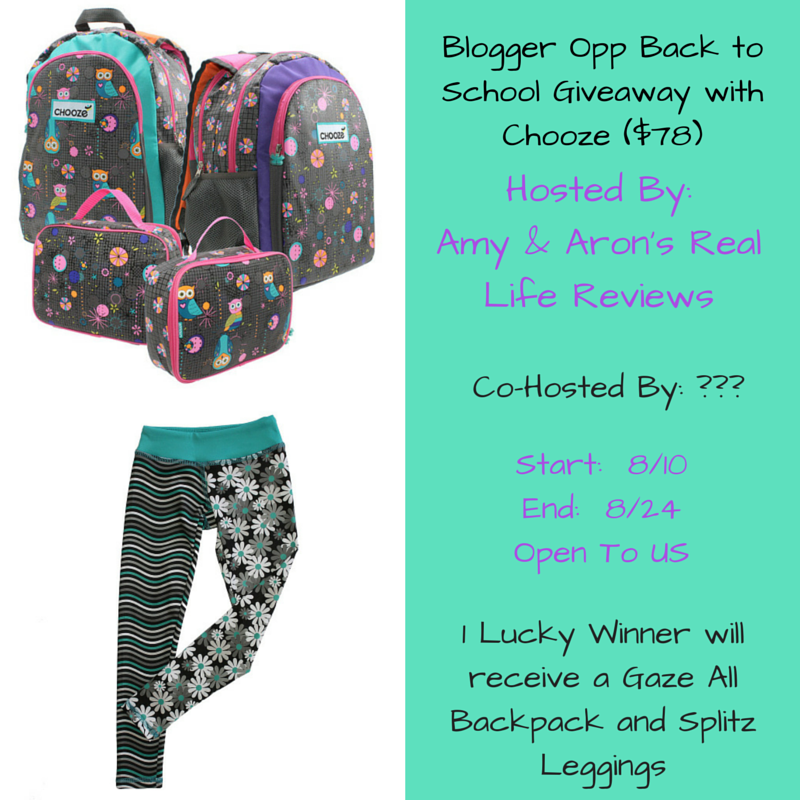 Deliciously Savvy Is Hosting a Giveaway for 1 Lucky winner to receive a Small Piczzle Of Their Choice! Check Out My Review and Sign Up To Promote this Treasure of a Giveaway! 1 Small Cardboard Picture Puzzle Personalized To Your Liking! Co-Hosts Wanted & Needed ~ $3 for 4 links of your choice (and I mean any you choose other than Google+). You can do Facebook Comments, Blog Comments, Giveaway Entries, Daily Votes, Social Media Follows of your choice, ANYTHING! PLUS the 2 FREE links above gives you 6 Links Total! Co-Hosts will also be promoted via graphics and link backs to their site via their Co-Host page AND extra follow pages! (# of extra follows depends on # of sign ups so promote, promote, promote!) Co-Hosts are not required to post announcement but it is greatly appreciated! 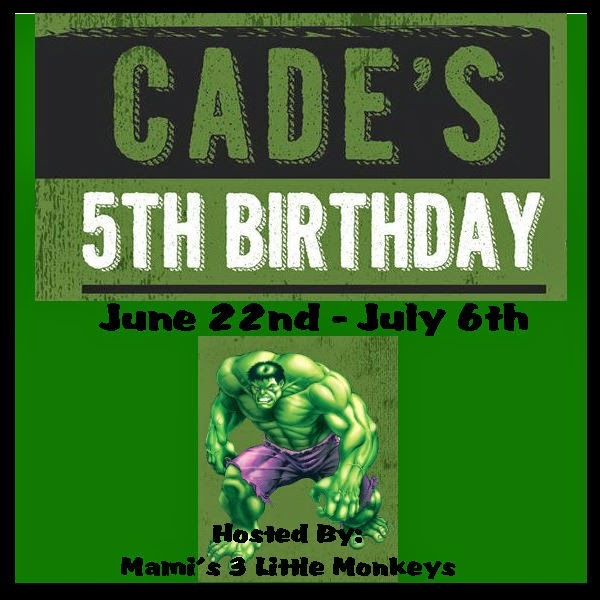 Come join us for Cade’s 5th Birthday Bash! Receive a 2nd free link for posting the giveaway on time, once it’s sent out and also for promoting the giveaway at least 3 times per week via Facebook, Twitter and other social media networks. This is required. Remember the more you promote the event the better it will make the event for everyone involved. If you only want your link on the entry form w/o having to promote or post the giveaway, you may send $15 via Paypal. I am looking for at least 2 co-hosts for this event. The cost of the co-host event will be $10 and you’ll receive an additional 5 links, making a total of 7 links if you have completed the above two free links. Each co-host will also have a link back to their blog as well as a follow/word page. 1 LUCKY USA Winner will receive a FREE pair of Freshly Picked Baby Moccasins! The winner gets to pick the COLOR & SIZE they want! Now… Bentleys Mom Reviews Needs Your Help Promoting! I cannot do it without each and every one of you so please sign up today! Thanks so much! Co-Hosts Wanted & Needed ~ $5 for 5 links of your choice (and I mean any you choose). You can do Facebook Comments, Blog Comments, Giveaway Entries, Daily Votes, Social Media Follows of your choice, ANYTHING! PLUS the 2 FREE links above gives you 7 Links Total! Co-Hosts will also be promoted with a link back to their site! Co-Hosts are not required to post announcement but it is greatly appreciated! are the person with the most referrals, you will be refunded! Promote Away and Make Sure They Know To Say You Sent Them! Minimum of 3 referrals to win free spot. Here’s the thing…My Silly Little Gang Needs Your Help Promoting! I cannot do it without each and every one of you so please sign up today! Thanks so much! 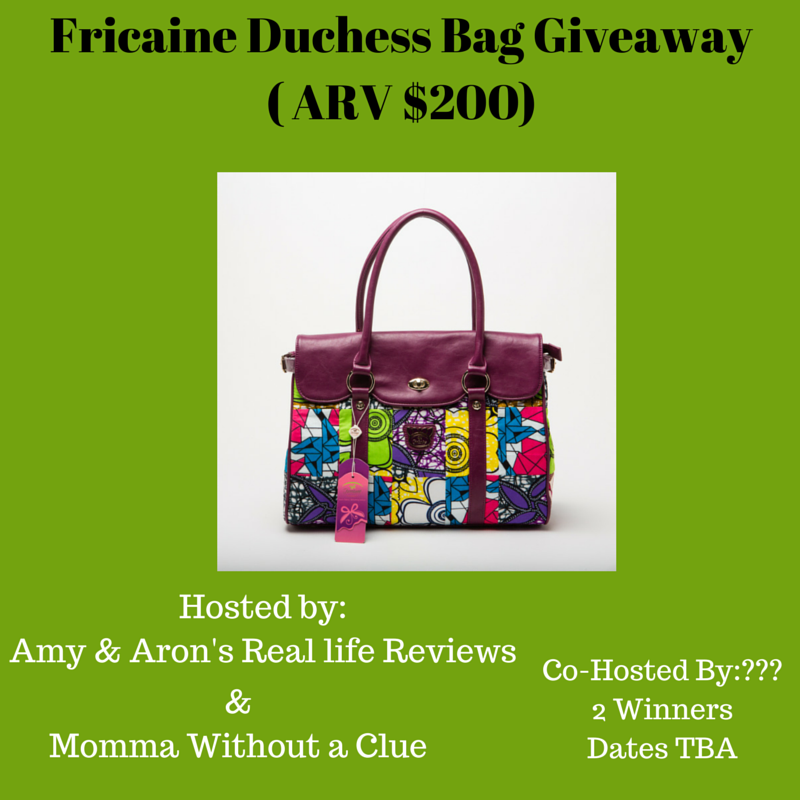 Deliciously Savvy Is Hosting a Giveaway for 2 Winners! It is all about Tech and Gadgets! Details Below! 2 Winners For This 1st & 2nd Prize! Right now combined prizes are $175!!! 1 FREE link with posting and promotion of the giveaway when it starts! (Choose from Facebook Visits, Twitter or Pinterest Follows). Get an EXTRA FREE link for a total of 2 links if you post the Blogger Opp Announcement Post, link to announcement below (Choose from Facebook Visits, Twitter or Pinterest Follows). If you’d like to promote the blogger opp another way just let me know on the sign up form. Total Prize Package For 1 Lucky Winner Worth $276 and growing! 1 Lucky Winner Will receive it all! Now, I need your help promoting! 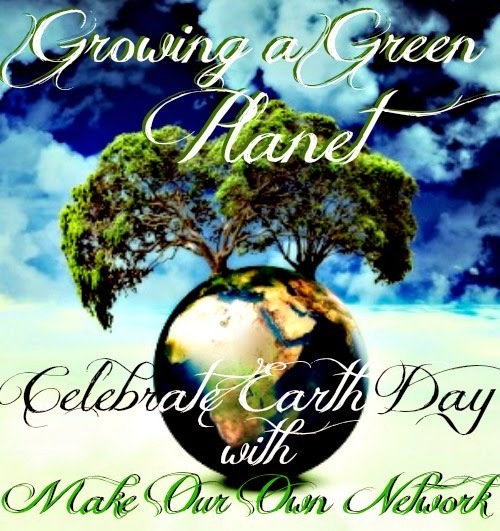 I am looking for free and paid option bloggers….. Co-hosts are most needed! Thanks and check out the details below. 1 Lucky Winner Will receive…. Deliciously Savvy is Hosting a Giveaway For Winning Moves Games and It Will Be Everything You Need To Have a FUN Family Game Night! It is Back To Boardgames and They are Awesome! Sponsored By ~ Winning Moves Games Hosted By ~ Deliciously Savvy Co-Hosted By ~ ??? Sign Up Today To Help Promote! Sign Ups Close 4/22 Giveaway starts 4/26 9AM EST until 5/17 9AM EST Entrants must be 18 years old to enter and giveaway is open to US residents only.. All bloggers will receive 2 free links for posting and promoting giveaway (Or pay $3 to mcushing7@hotmail.com via Paypal for 2 links without Announcement) GRAB ANNOUNCEMENT & SIGN UP HERE ***If you have an issue with announcement post…. email me at mcushing7@hotmail.com and I will send you the HTML directly*** Please share this on your social media! Choice for free links: TWITTER, FACEBOOK, INSTAGRAM, OR PINTEREST Co-hosts are $7 for the free links plus 5 more links of choice (and I mean ANY! ), Co host page on their site and at minimum 1 to 2 Extra Follow Pages. Of course no google+ and no required facebook like. Other sign up options available on sign up form too! Blogger With The Most Referrals Will Earn a FREE Co-Host Spot! If already signed up to Co-Host, you will be refunded or if promoting with 2 FREE links you will receive a FREE Co-Host spot! Make Sure They Mention You In The Sign Ups! Deliciously Savvy is hosting another giveaway for lovers of TEA! There will be 2 winners…. 2 Prizes are valued so far at $152!!! Sign Ups Close 4/24 Giveaway starts 4/28 9AM EST until 5/11 9AM EST Entrants must be 18 years old to enter and giveaway is open to US residents only.. All bloggers will receive 2 free links for posting and promoting giveaway (Or pay $3 to mcushing7@hotmail.com via Paypal for 2 links without Announcement) GRAB ANNOUNCEMENT & SIGN UP HERE ***If you have an issue with announcement post…. email me at mcushing7@hotmail.com and I will send you the HTML directly*** Please share this on your social media! Choice for free links: TWITTER, FACEBOOK, INSTAGRAM, OR PINTEREST Co-hosts are $6 for the 2 free links plus 5 more links of choice (and I mean ANY! )…….for a total of 7 LINKS, Co host page on their site and at minimum 1 to 2 Extra Follow Pages. Your Blog will also be listed on giveaway picture! Of course no google+ and no required facebook like. Other sign up options available on sign up form too! Blogger With The Most Referrals Will Earn a FREE Co-Host Spot! If already signed up to Co-Host, you will be refunded or if promoting with 2 FREE links you will receive a FREE Co-Host spot! Make Sure They Mention You In The Sign Ups! TOTAL VALUE OF $345 In Prizes For 1 LUCKY Winner!!! Sign Ups Close 4/15 Giveaway starts 4/18 12AM EST until 5/04 12AM EST Entrants must be 18 years old to enter and giveaway is open to US residents only.. All bloggers will receive 2 free links for posting and promoting giveaway (Or pay $3 to mcushing7@hotmail.com via Paypal for 2 links without Announcement) GRAB ANNOUNCEMENT & SIGN UP HERE ***If you have an issue with announcement post…. email me at mcushing7@hotmail.com and I will send you the HTML directly*** Please share this on your social media! Choice for free links: TWITTER, FACEBOOK, INSTAGRAM, OR PINTEREST Co-hosts are $8 for the free links plus 5 more links of choice (and I mean ANY! ), Co host page on their site and at minimum 1 to 2 Extra Follow Pages. Of course no google+ and no required facebook like. Other sign up options available on sign up form too! Blogger With The Most Referrals Will Earn a FREE Co-Host Spot! If already signed up to Co-Host, you will be refunded or if promoting with 2 FREE links you will receive a FREE Co-Host spot! Make Sure They Mention You In The Sign Ups! Summer is almost here and that means Swimsuit Season! Now, you can help your readers get ready to strut their stuff with the Fé Fit Women’s 13-Week, 90-Day Workout Program with 28 Videos Under 30 Minutes: The Best Workout DVDs for Women to Flatten Abs, Firm and Tighten Glutes, and Get Rid of Arm Jiggle! ARV $199! 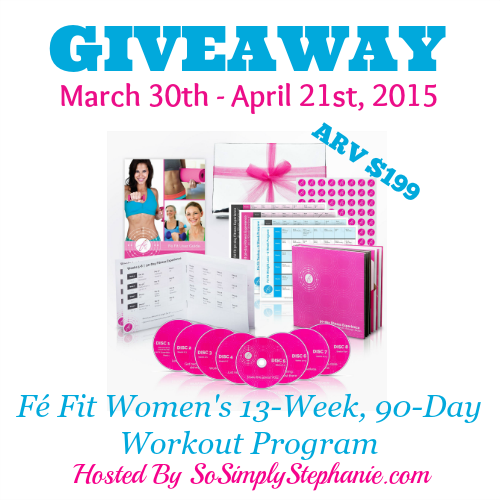 So Simply Stephanie is hosting the Fé Fit Women’s 13-Week, 90-Day Workout Program Giveaway and you are invited to participate! This giveaway include paid and free signup options with 10 co-host slots available. Childcare Solved Is Giving Away a $100 Amazon Gift Card to 1 LUCKY Winner and I Need Your Help Promoting! Everyday_Love101 Is Giving Away a $50 Restaurant.com Gift Card to 1 LUCKY Winner and I Need Your Help Promoting! Deliciously Savvy Needs Your Help In Promoting the “Beauty Must Haves Giveaway w/ OSIS+ by Schwarzkopf! These Two Products Are A Must Have For Anyone’s Beauty Routine! I Am A Huge Fan Of Their Products & A Little Goes A Long Way! Review To Come! Amazing Styling Tools For Any Hair Style! As Always, I need You help promoting…. I cannot do it without all of the fabulous bloggers out there! Blogger Opp ~ Crystal Wash – A Whole New Way To Clean Laundry! #crystalwash ~ NOW 2 WINNERS! Deliciously Savvy Is Hosting A Giveaway for 2 Lucky Winners to Receive Crystal Wash 2.0! ( $50 ARV each) This is an amazing product that I am already In love with after only 2 washes! I will include my full review on the giveaway post so be on the lookout! I really cannot wait to share how amazing this product is! There is an awesome video at the bottom of this post that explains more too. So….As Always We need Help From The Many Fabulous Bloggers Out There……..on Promoting This Fabulous Giveaway! Sign Ups Close 2/24 ~ Short Window! Sign Up Today!!! Co-Hosts wanted ~ FREE Spots Available too! As Always…. 2 FREE Links with Announcement Post (or Pay $3 to mcushing7@hotmail.com via Paypal for the 2 links without announcement) Choose From Facebook Visit, Twitter, Pinterest or Instagram. Co-Hosts Needed: $7 for 5 links of your choice PLUS the 2 FREE links above = 7 links total. And I mean ANY links you choose… Facebook Likes, shares and or Comments, Twitter Re-tweets, Website Comments, Giveaway Entries, Daily Votes, Daily Endorsements, Extra Follows, Anything, you tell me! You will be be highlighted in the Giveaway Picture and Giveaway HTML, as well as receive a co-host page PLUS an extra follow page or two depending on total number of entries which are all linked back to your website. I need some more help promoting again please!!! Deliciously Savvy is hosting another giveaway….. A Feel Good Giveaway! 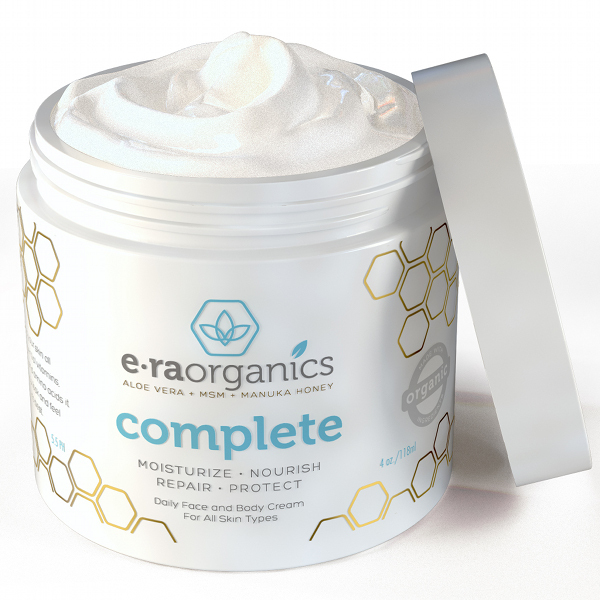 Packed with health and beauty products for 1 lucky winner! Plus a cool Black Skull Cap beanie! Total ARV is $110 so far and I will add products as I go! More will be added as sign ups commence! 3) Stainless Steel Microfiber Cleaning Cloths ($34.99 ARV) 4) Pro Chef Kitchen Tools Premium S Shaped Hooks in 10 Pack Stainless Steel Metal ($28.99 ARV) & 5) Smart Touch Wine Opener ($24.99 ARV) ($180 Total Package ARV) & I will add more if they become available!